Between the eighteenth and mid-twentieth centuries, countless African Americans passed as white, leaving behind families and friends, roots and community. It was, as Allyson Hobbs writes, a chosen exile, a separation from one racial identity and the leap into another. This revelatory history of passing explores the possibilities and challenges that racial indeterminacy presented to men and women living in a country obsessed with racial distinctions. It also tells a tale of loss. As racial relations in America have evolved so has the significance of passing. To pass as white in the antebellum South was to escape the shackles of slavery. After emancipation, many African Americans came to regard passing as a form of betrayal, a selling of one’s birthright. When the initially hopeful period of Reconstruction proved short-lived, passing became an opportunity to defy Jim Crow and strike out on one’s own. 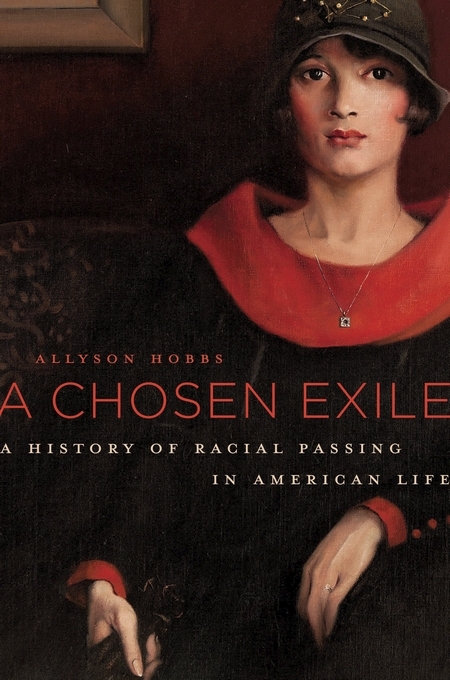 Although black Americans who adopted white identities reaped benefits of expanded opportunity and mobility, Hobbs helps us to recognize and understand the grief, loneliness, and isolation that accompanied—and often outweighed—these rewards. By the dawning of the civil rights era, more and more racially mixed Americans felt the loss of kin and community was too much to bear, that it was time to “pass out” and embrace a black identity. Although recent decades have witnessed an increasingly multiracial society and a growing acceptance of hybridity, the problem of race and identity remains at the center of public debate and emotionally fraught personal decisions.